The Methodist Church in Fiji and Rotuma says it does not condone any form of violence. Church general secretary, Reverend Dr Epineri Vakadewavosa, made the call in light of the latest figures revealed by the Fiji Women’s Crisis Centre (FWCC) showing 756 cases of domestic violence from January to July. “Ever since the church began, it has always stood against violence, everyone is treated equally, respect is very important and this is based from the Bible,” Dr Vakadewavosa said. Dr Vakadewavosa said the church could even conduct training and workshops so families and individuals are protected and church ministers and leaders play a vital role in doing so. FWCC co-ordinator Shamima Ali attributed the rise in emotional/verbal abuse to more and more women recognising and getting to understand better what they are about. “More and more women are recognising emotional abuse,” she said. “The more women get a sense of what they should expect, the more they understand what is happening to them that they don’t like and they will report them. Emotional/ verbal abuse according to the FWCC includes swearing, denying a woman the right to make any decision, denying her the right to pursue a career, denying her the right to decide how many children she can have and many other related cases. Ms Ali said all these things cause a lot of emotional trauma for women. “The contributing factors to domestic violence are things like alcohol — not the fact that he’s drunk but because of the money spent, jealousy also triggers this kind of violent behaviour, affairs particularly in the part of the men and financial or work stress. 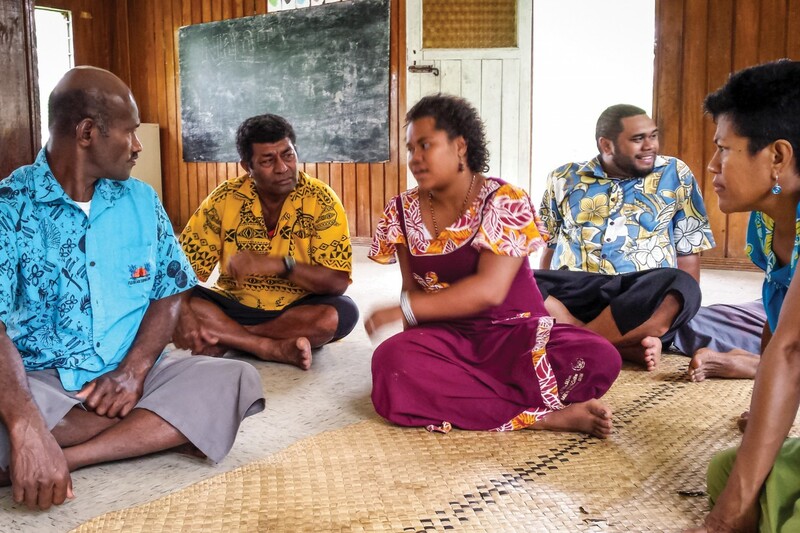 21 new communities are currently in the process of becoming champions for violence free communities in Fiji. Minister of Women, Children and Poverty Alleviation Rosy Akbar said the training program will help these communities become well equipped with skills to effectively address issues concerning domestic violence, child abuse and gender inequality. Akbar highlighted the Zero Tolerance Violence Free Communities program has been established to strengthen networks with the local and rural communities in terms of eliminating violence against women and children.